Note: This fuel gauge is not intend to be use as a very accurate reading of the battery pack's capacity. 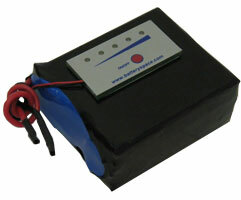 The battery level indication can vary by 5% depending on the capacity of the pack! 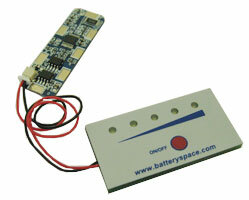 Apply to PCB/PCM of 2 cells Li-ion / Polymer Li-ion 7.4V battery pack. Please check polarity before making connection to avoid damaging the module. This fuel gauge is use for 7.4V pack only or it will damge the fuel guage. Please make sure your selection is correct before purchasing.